Photo by Original Image Photography. The much anticipated Dartmouth Food Festival has started today and will be taking place over the weekend. With more producers participating than ever before and an incredible line up of experts running seminars and tastings it really is the place to be. Commenting on behalf of Dartmouth Food Festival, Festival Chairman David Jones says: “It's always a little tense at the start but as soon as things start falling into place it soon calms down and falls into regular routine. Once the wheels start moving it goes like a carpet rolling down the hill... there's no stopping it as one event after another after another takes place. The Festival keeps on getting bigger every year." Fish chef extraordinaire Mitch Tonks adds: "When I first came to Dartmouth and heard there was a food festival I just couldn't help but be involved. The team that run it are the most wonderfully enthusiastic people, purely driven by the aim of showcasing everything that's great about South West food. We're lucky that so many people take part and make it what it is today which I genuinely believe is the most important food festival in the country." Acclaimed chef Jane Baxter says: "It's always lovely to be a part of Dartmouth Food Festival. It's such a great event and good to come home having started my career here with Joyce." Drinks expert Susy Atkins, who is hugely involved in the Festival this year, says: "I think it's brilliant that the drinks side of the region and beyond are being celebrated at the Festival. There are lots of exciting seminars and tastings on subjects from coffee to cider to juice and, of course, the fabulous wines of the South West with lots of top speakers too." 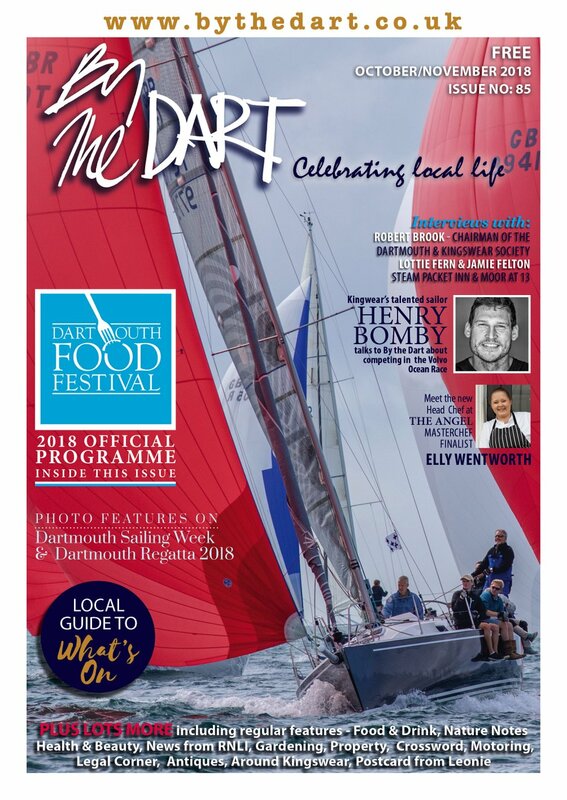 This is the eleventh year of the Dartmouth Food Festival, which started from small beginnings in 2002 and has just kept on growing and is now one of the country’s most talked about food festivals. Sponsors of this year’s festival include Coast & Country Cottages, Dartmouth Holiday Homes, Manna from Devon Cooking School, Corinium Care, Jelf Financial Advisors, The Mob Film Company, Southwestern Distillery, Bridgetown Brewery, Café Alf Fresco, Dart Marina, Royal Castle Hotel, RGC Building Supplies, Original Image Photography, RAW PR & Marketing, Browns Hotel and RockFish. 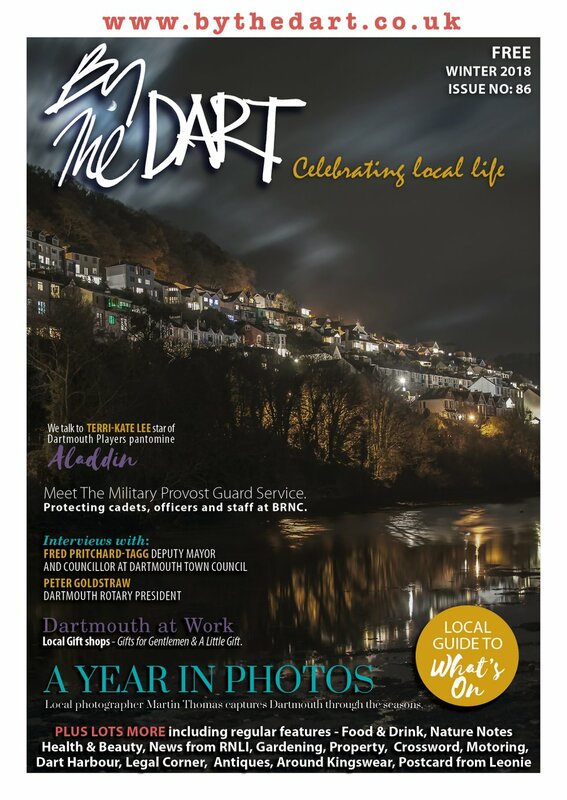 Food magazine and By The Dart are the official media partners. With its free admission it’s a great day out for everyone, whether local to Dartmouth or visiting the region. There will, however, be a range of ticketed events on sale. 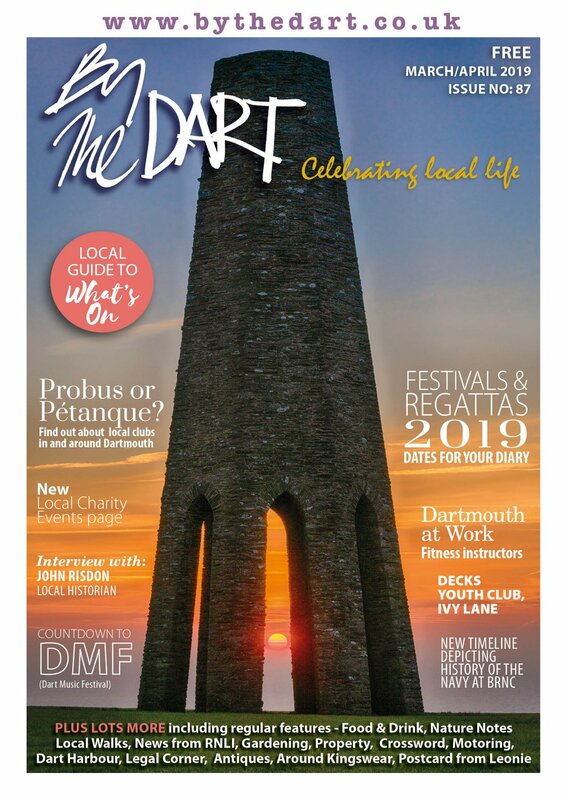 For information on tickets and timings contact Val Bird on Tel: 07771 781 242 or email info@dartmouthfoodfestival.com and keep an eye out on www.dartmouthfoodfestival.com for regular updates, ‘like’ the Dartmouth Food Festival on Facebook and follow @DartFoodFest on Twitter.